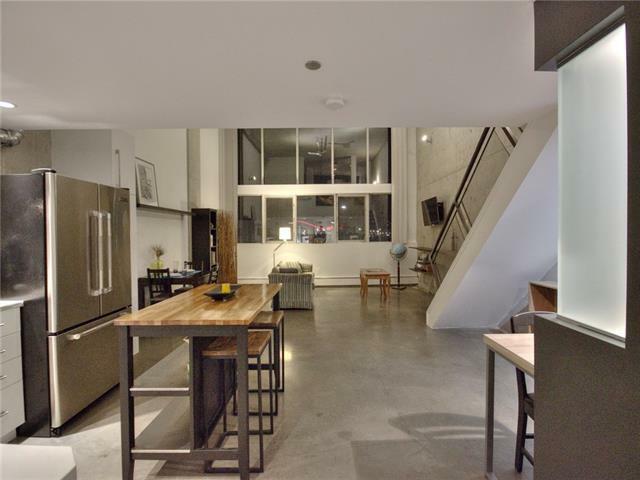 Welcome to Orange Lofts in the trendy and vibrant community of East Village. 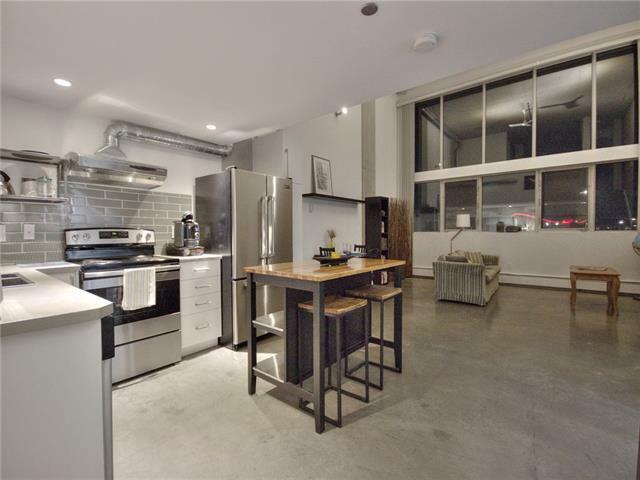 A renovated industrial style end unit with over 800 sqft of living space. 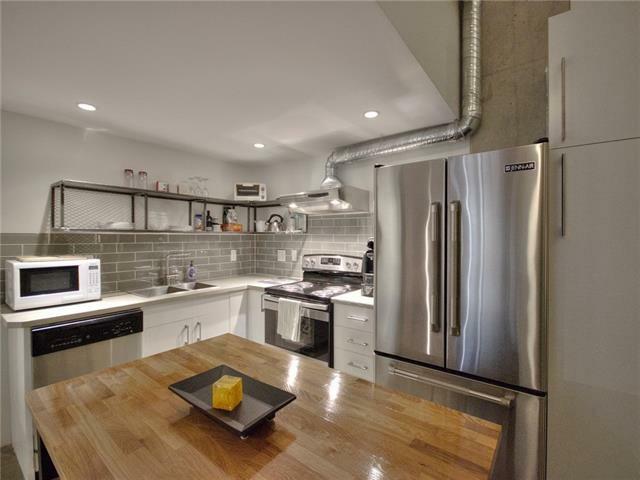 Polished concrete flooring leads to the renovated kitchen with stainless steel appliances and open restaurant style shelves. Soaring ceilings in the living room and a large south facing window with a clear view of the stampede grounds and an abundance of natural light. Retire upstairs to the spacious bedroom with custom barn door to the walk in closet. 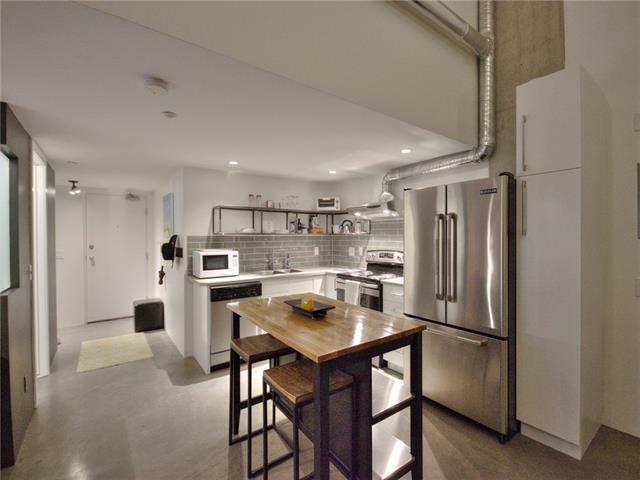 Unit comes with an underground parking space and storage. The building has a roof top patio and party room. Pets are allowed with board approval. Walk to the new library, river paths and the downtown core. Dont miss this opportunity and call for your viewing today!